This week has been reasonably quiet, which has been nice because it’s given me the chance to take things a bit more easily and get some rest. Thankfully my virus seems to have finally gone, although I’m still struggling with a sore throat. For a few days this week, it has actually started to feel like spring! The sun has been shining, the daffodils and crocuses are out and I was able to go out without a thick coat on! However, I woke up today and it’s pouring with rain – typical! I forgot to share this first photo with you in last week’s Sunday Snippets, so thought I would pop it in here. 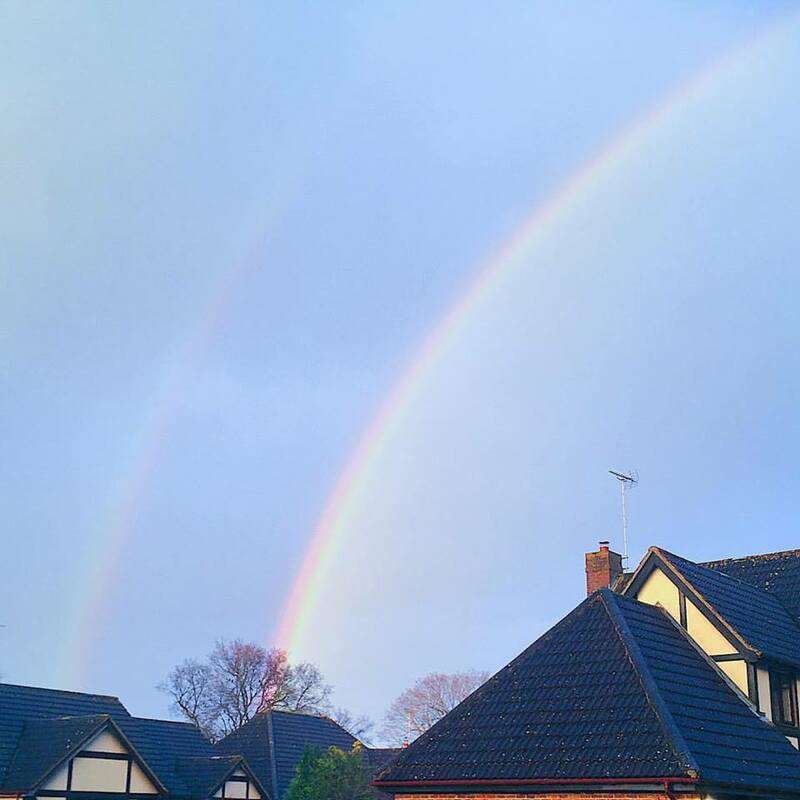 There was a beautiful double rainbow last Saturday afternoon after a massive downpour. I always think of my friend, Tasha, when I see one. I’m sure she’s up there in the sky, riding her unicorn over the rainbow. Last Sunday morning my Mum dropped me round at my friend, Katrina’s, house (well, her parents’ house). We had a good chat and I finally gave her her Christmas present! She lives in Ireland so it was really lovely to see her. When my Mum brought me home, I sorted out my medication for the week ahead and rested for a bit. After lunch, I watched The Simpsons and wrote and uploaded a blog post. I then edited some photos and got another post scheduled to go up in the week. I felt pretty exhausted, so curled up on the sofa and sorted through some old magazines. I spent the rest of the afternoon doing some Law reading for Uni. I wasn’t able to eat much dinner because my acid reflux was really bad. 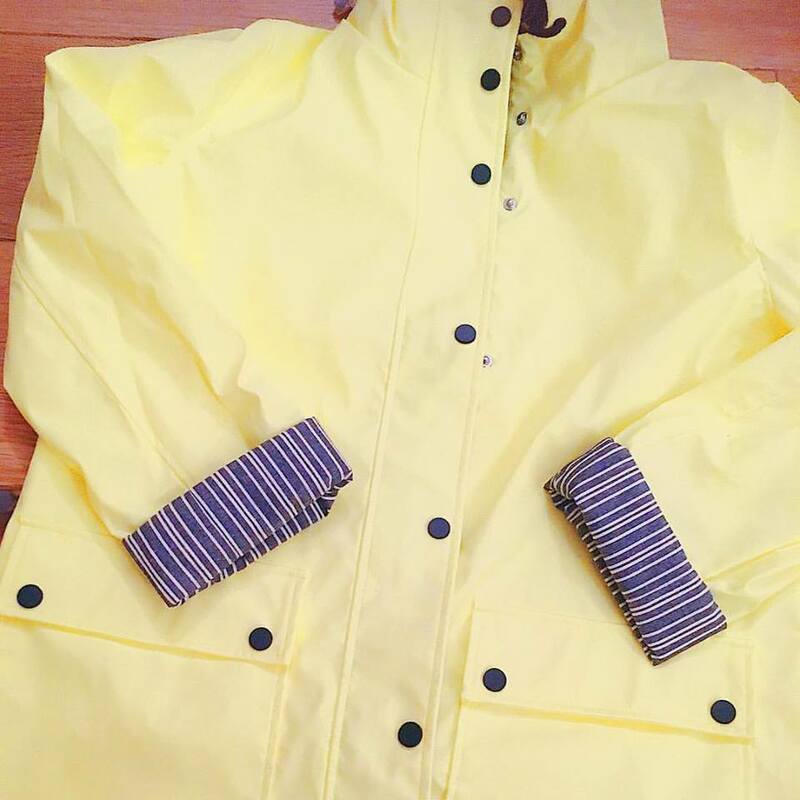 In the evening I opened my Topshop order – this adorable pastel yellow rain mac. My Dad took me over to Uni on Monday morning. We spent the morning putting together various radio bulletins and finding our own stories to include. We all went to the canteen at lunch for a break and a chat. In the afternoon we went out into Farnham to get vox pops, which is always a challenge! My Dad picked me up early, as my Mum had managed to get me an emergency doctor’s appointment. 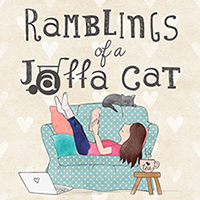 I saw my GP – she was at a bit of a loss for what to do with regards to my reflux problems. She suggested that I try increasing my Ranitidine to see if it helps, but I’m going to have to talk it through with my specialist when I see him in August. It feels so far away, but if things get really bad perhaps my GP can contact them. I am also able to reduce my iron tablets a bit, as my iron levels are finally OK. 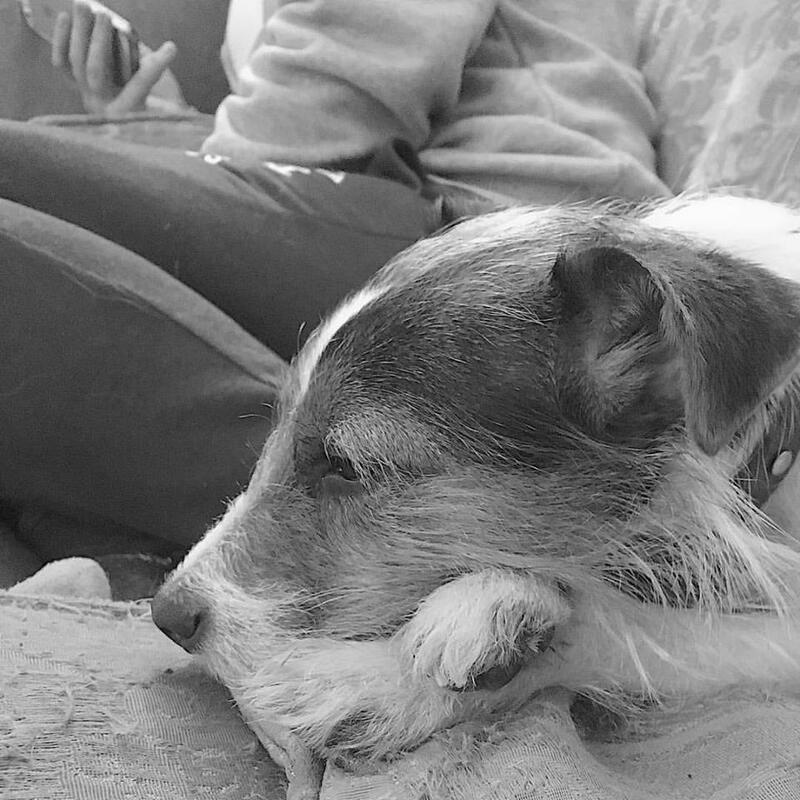 When I got home I dozed on the sofa with this little chap. I was really struggling with eating – nothing seems to be getting any better and I felt quite alone with it all. I overslept on Tuesday morning and could happily have stayed in bed! But I had to get over to Uni, so my Mum drove me over. The fire alarm went off just as we were going up to the classroom, which was slightly frustrating! We spent the morning working on our narrative long-form pieces. It’s all very overwhelming at the moment. 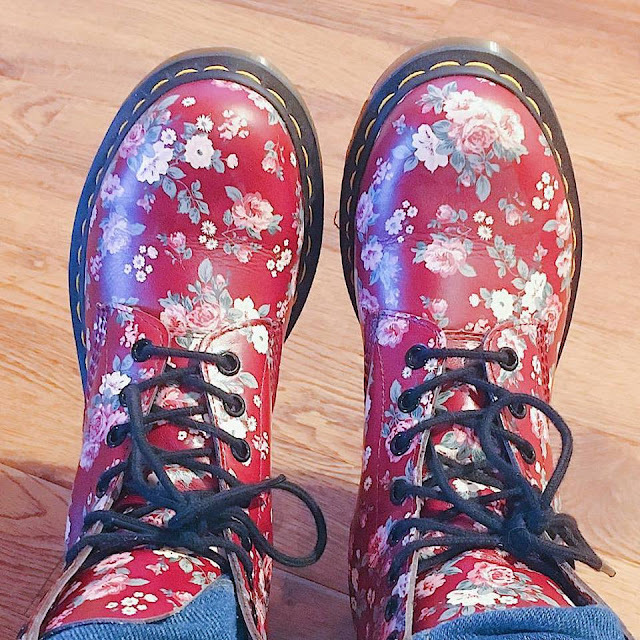 I wore my funky Dr. Martens boots though, which made me smile. My Dad brought me home at lunchtime and after I’d had my Fortisip I fell asleep on the sofa with Freddie for a while. I seem to be even more exhausted than normal at the moment. I spent the rest of the afternoon writing some penpal letters and watching Couples Come Dine With Me. I had a pretty long lie-in on Wednesday morning, but still had so little energy. 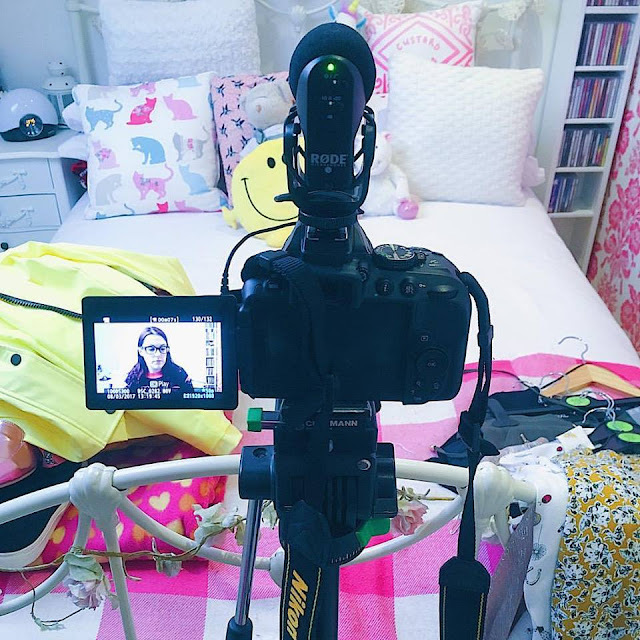 I managed to put a bit of make-up on though and filmed a collective haul for my YouTube channel of some of the bits I’ve bought over the last few months. Once I’d filmed, I tidied everything away, which took quite a while. I was exhausted by that point, so curled up on the sofa, had my Fortisip, watched The Coroner and caught up on my Uni emails. Then I watched a couple of episodes of Silent Witness and worked on my court reports and freedom of information article. I opened some post and did a couple of my physio exercises. I was in so much pain and so exhausted. I had another lie-in on Thursday morning, which was so appreciated. I spent the morning writing and uploading a blog post, and then editing a video for my YouTube channel. I’d hope to get it uploaded too, but ran out of time and energy in the end. I chilled out on the sofa in the afternoon and watched a bit of TV. I also did some preparation for an article I’ve got to write for my Uni portfolio. At the moment I’m not actually sure how I’m going to get it written in time for the deadline. My Mum had a guided injection in her hand in the morning so wasn’t able to drive. So I took her down to Waitrose in the afternoon so we could get a few bits for dinner. 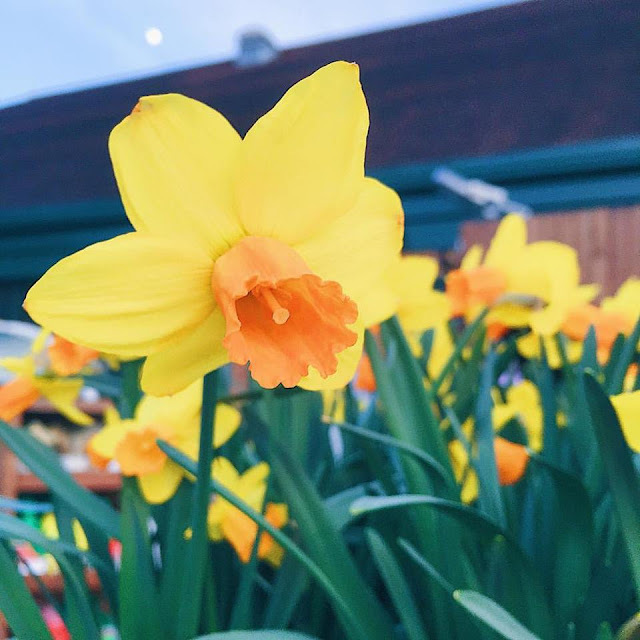 They had loads of daffodils in various tones of yellow and orange outside the store, which looked so pretty and made me feel that spring is definitely on its way. I had the headache from hell in the evening though, which was making me feel super crappy. I got up late, again, on Friday! I really need to sort out my sleeping routine and get myself to bed earlier. A bit back I was doing really well with it, but I’ve gone off track. My Dad drove me over to Uni. In the morning we were doing more work on dissertation preparation, and then at the end of the lecture I had a chat with my course leader about my ideas for my dissertation proposal. At lunchtime I met up with my mentor and had a chat. Then we had Law in the afternoon, which was pretty heavy going. We were mainly talking about the law surrounding reporting health crises and terror. I felt pretty rubbish when I got home, so spent a while just resting on the sofa. 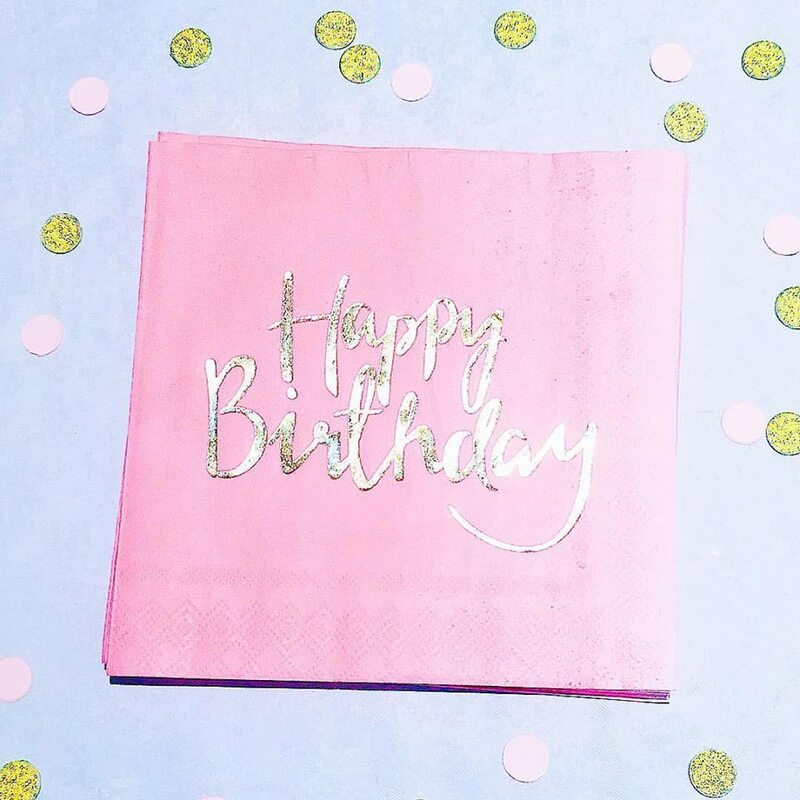 My sister, Bekkah, had some friends round to celebrate her 18th birthday – I loved her pink and gold theme! I was feeling quite down in the evening – I’m really struggling with my weight and body image. I know some of my weight is because at the moment I’m not digesting/getting rid of food due to my dysmotility and Gastroparesis, and that I can lose it really quickly if my sickness flares up. But it’s really triggering my eating disorder and it’s hard trying to fight both illnesses at the same time. I wanted to have a girly day with my Mum on Saturday, so in the morning we made our way over to Festival Place in Basingstoke for some retail therapy. Our first stop was Primark where I bought this adorable Pusheen t-shirt and some other bits (I’m hoping to do a haul on my YouTube soon if I can get my computer storage sorted). We looked round a few more shops but didn’t buy anything, and then went to Starbucks for some lunch. Once we’d had a bit of a rest we looked round a few more shops and I found a gorgeous top in Monsoon that I’d seen in Emily Norris’ YouTube video but it was out of stock online so I thought I wouldn’t be able to get it! When we got home I was completely wiped out, so had a nap on the sofa and then watched some TV. All of the lie-ins haha! Always nice to get good sleep. It's crazy how it's been begining to feel like Spring huh? It was so lovely today that I left the house for the first time this year with only a sweatshirt - no coat :O! Hope you're doing okay health wise. I got to come off my iron tablets a month of two ago but I'm starting to feel pretty bad again so I dunno what to do. I got some normal iron supliments but they are only 50mg compared to the 2x 300mg I was on, so it's not doing much. Blurgh! Gorgeous photos of the pup btw, so cute! Girl those Dr Martens are AMAZING! I need to dig mine out as I haven't worn them in forever! Also, some retail therapy with your mum sounds LUSH! 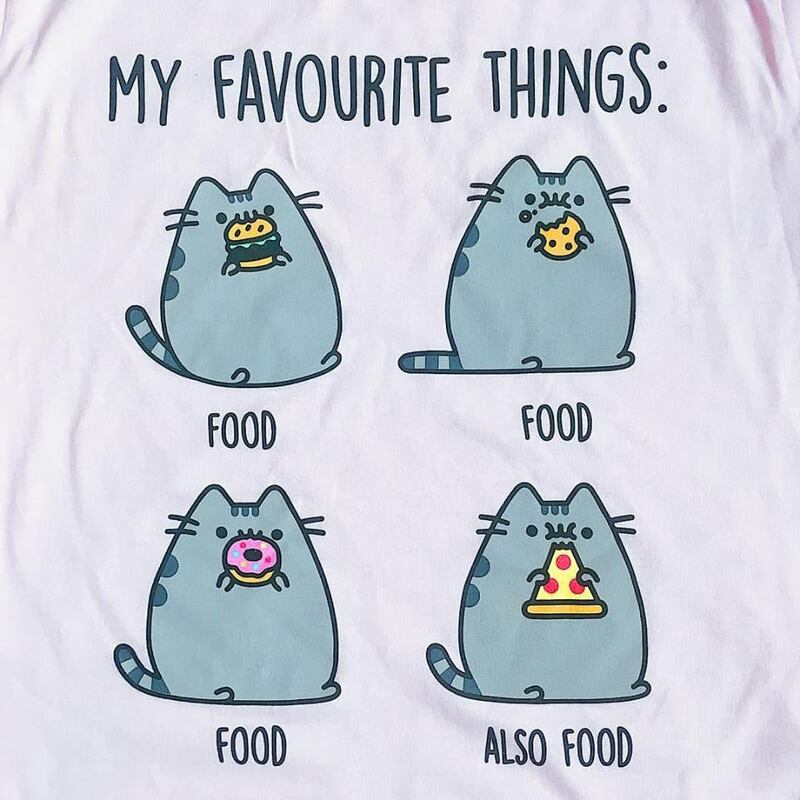 How cute is that t-shirt? !